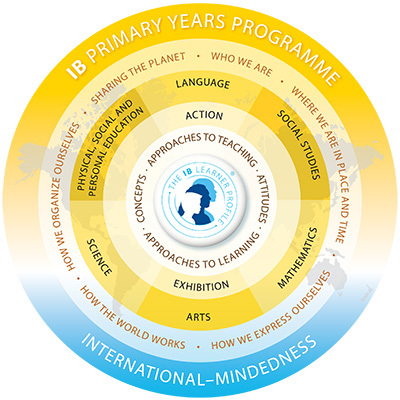 The International Baccalaureate Primary Years Programme (PYP) is designed for students aged 3 to 12, and focuses on the total growth of the developing child. It focuses on the total growth of the developing child, touching hearts as well as minds and encompassing social, physical, emotional and cultural needs in addition to academic development. The PYP draws on research and best practice from a range of national systems with a wealth of knowledge and experience from international schools to create a relevant, engaging, challenging and significant educational framework for all children. The curriculum framework consists of five essential elements: concepts, knowledge, skills, attitudes, action. The knowledge component is developed through inquiries into six trans-disciplinary themes of global significance, supported and balanced by six subject areas. This is illustrated by the hexagon below. The curriculum framework is further structured around three interrelated questions. What do we want to learn? The written curriculum. How best will we learn? The taught curriculum. How will we know what we have learned? The assessed curriculum. Parents – to highlight their child’s learning and development. The Elementary School is a vital part of the KIS learning community. Preschool, Kindergarten and Grades 1 – 5 are housed in large well-equipped classrooms supported by up-to-date resources and facilities. The campus is shared with Middle School grades 6-8. 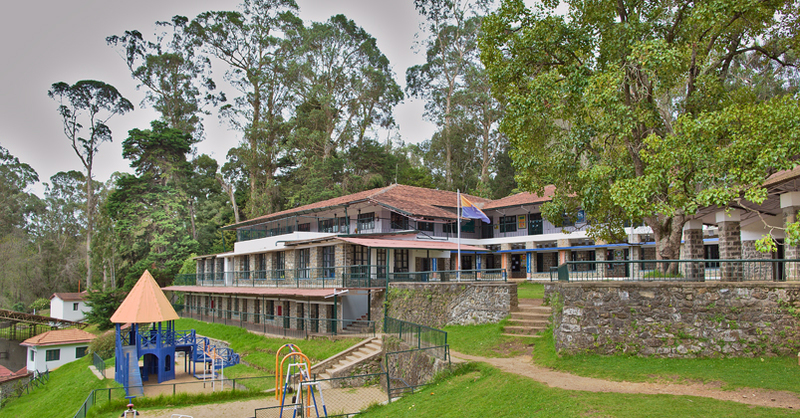 Spacious, airy and attractive buildings with stunning panoramic views of surrounding woodlands and valleys provide a unique setting in which young children from many nations play and grow in peace. KIS Elementary School strives to provide a holistic program and nurturing environment, where each child can develop intellectually, physically, socially, emotionally and spiritually. It is our goal that each KIS student will walk on the world stage, or in its quiet corners, caring, sharing and seeking justice. KIS has articulated an intentional philosophy of education directed towards the development of global citizenship and based on care of the individual. The central core of KIS programs is a holistic approach to the individual student and the knowledge and understanding of the benefits of exposing young people to a wide variety of experiences in a safe and structured learning environment. KIS Elementary School curriculum offers a core of academic subjects in language arts, mathematics, science and social sciences. The learning environment is child-centered and the curriculum is enriched by a strong reading program, library, learning resources, English as a Second Language (ESL) where appropriate, art, music, physical education, computing and computer education, personal and social development and Christian values education. The curriculum offers several second languages for students to choose from. 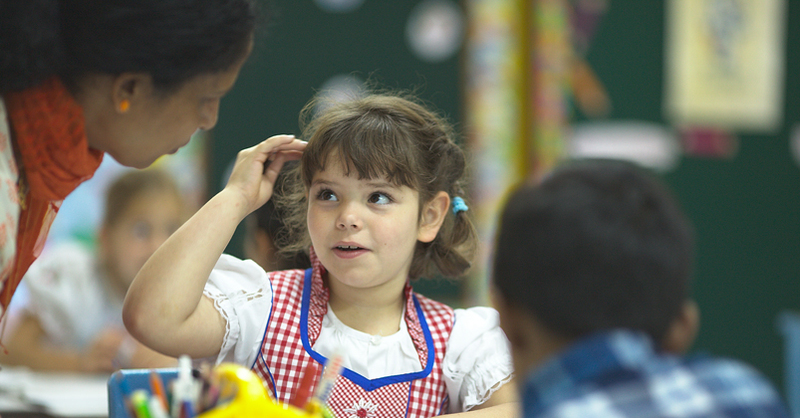 The Primary Years Program is concept-driven and has inquiry based learning at the heart. Inquiry is essentially exploring, wondering, questioning, experimenting, researching and elaborating on solutions to problems. It involves the synthesis, analysis and manipulation of knowledge. The Learning Resources department and the English as a Second Language (ESL) department provide individualized instruction for those identified with special needs. KIS offers a full developmental, age-specific physical education program. 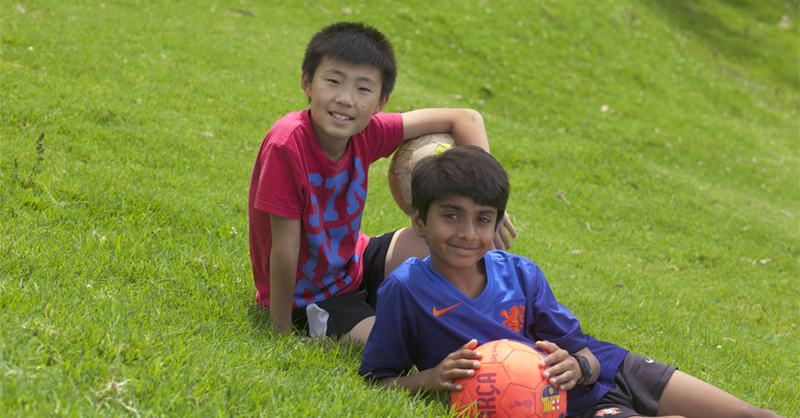 After-school sports coaching opportunities, a weekend hiking program and an annual Elementary Sports Day supplement scheduled physical education classes. Sporting fixtures with local schools / groups are arranged on a regular basis. Opportunities to enjoy camping and Field Trips are offered annually to all grades. In addition to the important social interaction in the classroom and on the playground, KIS Elementary School provides clubs as well as after-school and / or evening activities. These vary with the interests and talents of available staff and have included such options as cricket, dance, cooking, crafts, biking, soccer, knitting, choir and drama. KIS Programs have traditionally included music, art and dance to extend and enrich the creative, cultural, environmental, social, physical and spiritual development of every student. Children are encouraged to create, experiment, question, test, understand and develop themselves against the backdrop of opportunity provided by the school’s unique location in South India. The physical beauty of Kodaikanal and its surroundings encourage creative acknowledgment and expression from all KIS community members, children and adults alike. Art is a priority at KIS. All grade levels including Preschool and Kindergarten have scheduled, structured art activities prepared by accomplished art teachers. Music is an integral part of life at KIS. The high standard of music tuition, musical instrument choices and performance opportunities are on par with other specialist music schools. National holidays are observed with great enthusiasm. International Day is celebrated annually and these are great occasions to showcase and appreciate the many cultures and backgrounds that students come from. Elementary school students are exposed to as many aspects of the host nation culture as possible. Opportunities for Indian instrumental and vocal music tuition are additionally available on request. Conversational Tamil (the state language) is offered to PYP students to help improve conversational ability, as well as to nurture an awareness and appreciation. Residential students are required to attend Sunday morning worship services and participate in the Sunday School Program. They also have a weekly devotional time in the student residence. Students are encouraged to understand and respect those of all faith backgrounds by learning about other religions.